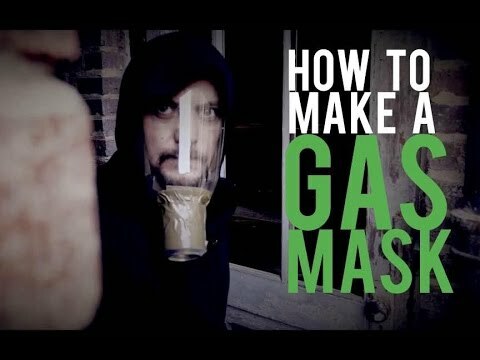 In this video, step-by-step instructions and explanations are given for how to construct a gas mask out of material and supplies that you probably already have around the house. You will need a 2-liter plastic bottle, soda can, duct tape, cotton rounds, rubber bands, and activated charcoal (which you should have around already with your medical supplies). The mask is not meant to protect against biological or nuclear threats, but mostly just against CS gas or pepper spray. But it could also be used after a disaster to protect you from harmful airborne particles in damaged buildings that you might be scavaging in or looking for survivors. It should not be used in a fire though, the plastic could melt to your face which could cause horrible burns or even suffocation.